You’ve been looking forward to this all week: dinner with your son and daughter-in-law. You’ll be able to catch up, check in, laugh, cry (okay, hopefully not, but no promises because you just love them so much and it’s a lot to take in). But when you get to the restaurant, you notice–to your horror and disappointment–that you can’t hear a thing. Your hearing aids are in, but everything sounds muffled. Modern hearing aids are famous for their ability to produce crystal clear sounds. That’s why it can be really, really frustrating when that doesn’t happen. Hearing aids are supposed to help you hear better, right? But, lately, every time you’ve turned your hearing aids on, everything’s sounded muffled and distorted (and that’s definitely not an improvement over your regular hearing). The problem might not be the hearing aid at all. All right, so, if the hearing aid is functioning properly, why does everyone sound like Charlie Brown’s teacher? (Have you considered that, perhaps, you are a Peanut? No… no, that’s probably not it.) Well, there are a couple of things you can do to try to right the ship, as it were. If I had a dime for every problem that earwax caused (in general, not me personally), I’d be a rich (but still cranky) man. The problem with your hearing aid could be a build up of earwax against the microphone. 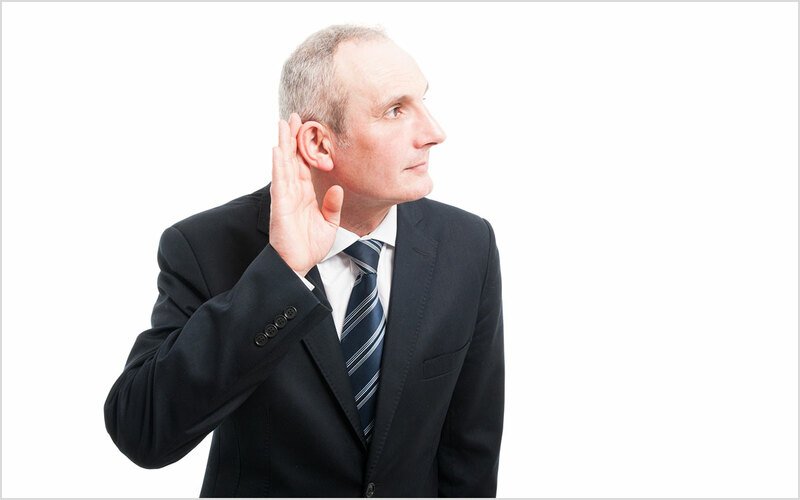 The earwax interferes with your hearing aid’s ability to detect sound and, thus, the amplification is muffled. Doing a visual inspection. (In other words, take a good look at the hearing aid before you put it in your ear.) If you see earwax, try to clean it off. Turning the hearing aid on. If the start-up songs and dings all sound fine, but speech is later muffled, the problem is likely with the microphone and not the speaker (and wax is the likely culprit). Conversely, it’s possible that earwax in your ear rather than on the hearing aid is the problem here. In those cases, make sure to clean out your ears in a safe way (a cotton swab, by the way, is not a safe way). If the muffled problem persists once you’ve cleaned up your hearing aid and your ears, you’ll have to keep troubleshooting. So, if earwax isn’t the problem, the next likely culprit is going to be an infection. Sometimes this could be a standard ear infection. Sometimes it could be an inner ear infection. Both are worth seeing your doctor about. Ear infections of various kinds and causes can create swelling in your ear canal or middle ear. This swelling blocks the transmission of sound and, therefore, your hearing is muffled. Treatments might include some antibiotics, but that’ll be up to your doctor. Once the infection clears, your hearing should return to normal. It’s also entirely possible that your hearing aid batteries need to be changed. As hearing aids lose power, they sometimes start to sound, well, muffled (you can see why this would be something to check). This is true even if your batteries are rechargeable. Sometimes switching out the batteries with fresh ones can make your hearing aids sound crystal clear again. If you try all this troubleshooting and nothing really helps, it’s definitely worth taking some time to see your hearing specialist. If the muffled sounds linger, you could find yourself using your hearing aids less (or turning up the volume on your TV again). And all of that could start causing hearing damage again.